A horse-drawn hearse is the perfect choice for a loved one, providing you, friends, and family with the chance to say a final goodbye. 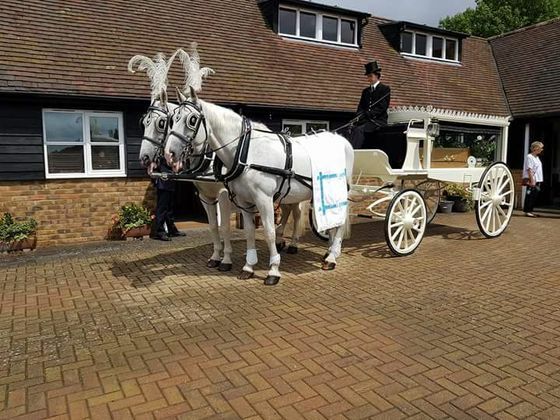 Here at Acorn Carriage Hire, in Faversham, Kent, we offer a range of elegant funeral carriages, available in black or white and with options for either white or black horses. Throughout your funeral planning, we’ll be here with you to ensure your loved one receives a send-off worthy of the occasion. Our horse-drawn hearses offer a real sense of occasion, and our horses are dressed in ostrich plumes and drapes, which can be in any colour of your choice, in order to personalise the carriage to reflect the deceased’s personality. 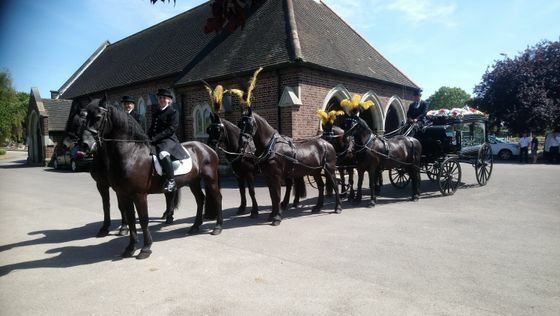 When we provide our horse-drawn hearses for a funeral, our team will be in full Victorian livery, ensuring that we look smart and dignified as we carry your loved one. What’s more, we will work closely with you to meet any special requirements, such as ribbons or flowers with which to decorate the horses and hearse. 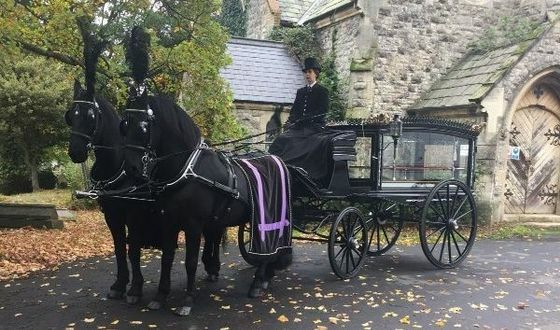 At Acorn Carriage Hire, we also have a mourners’ carriage for hire, so that you and your family can ride closely behind your loved one to the funeral. Our mourners’ carriage gives you the chance you need to say goodbye and reflect on fond and loving memories during a difficult time. These can be hired throughout Kent and ensure that you have a special way of saying farewell one last time. Our team know just how hard it is to plan a funeral. That’s why you can rest assured that we’ll do everything we can to make this process easier, working closely with you to ensure that the funeral happens exactly how your loved one wanted it to. Get in touch with us, in Faversham, Kent, for further information on our horse-drawn hearses and funeral carriages.